I don’t get it. How is it that a dog will eat vomit, feces of other animals, entrails, dog food, and a mummified carcass of a cat that was buried in manure that had been spread on a neighbor’s farm, but she refuses to ingest her prescribed antibiotic meds because they taste bad? It doesn’t compute for me. Cyndie tried hiding it in chicken, hamburger, peanut butter, cheese, cat food, all of which Delilah rejected with emphasis. Ultimately, Cyndie succeeded by slipping it inside a pasta noodle that was then covered by some other enticement. Wednesday night was another difficult one, and by the middle of the day yesterday, Cyndie needed to take Delilah to the vet. She was getting dehydrated. They verified that some bacteria appears to have knocked her digestive system completely out of whack. Treatment included re-hydration and meds that taste bad. Really? Did somebody there actually taste them to find out? What the heck could taste bad to a dog? Apparently, antibiotic pills. 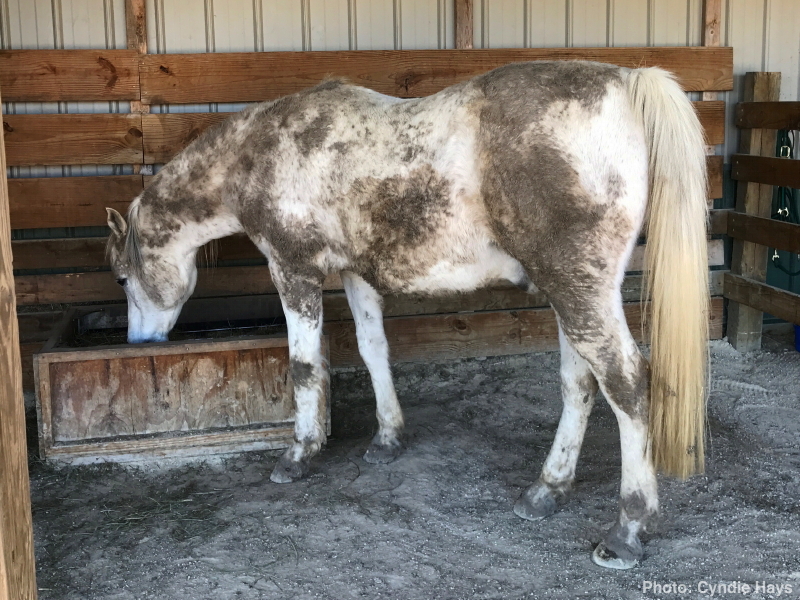 Meanwhile, the chickens appear to be perfectly healthy and Legacy is taking full advantage of the black mud in the paddock to practice looking like a cow. 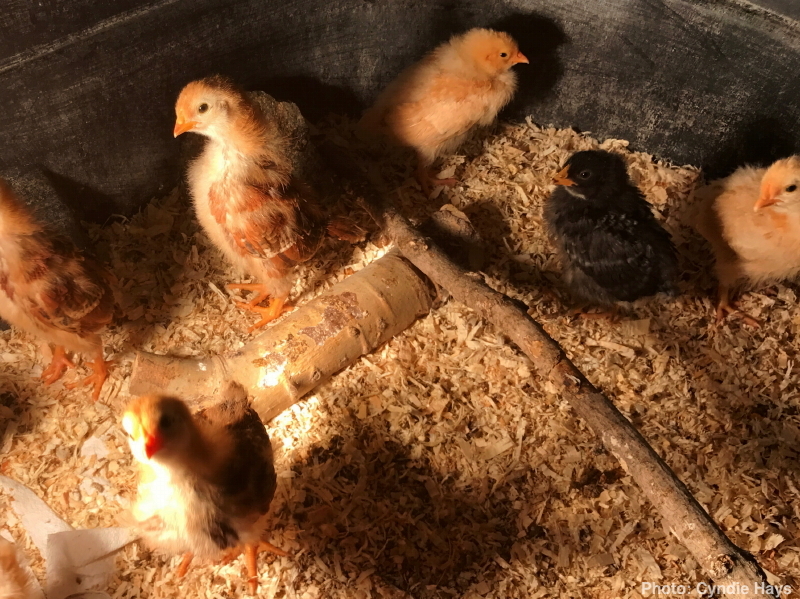 I was all prepared to discover that one or more of our new chicks weren’t able to survive the barely controlled environment of the brooder that we set up in the barn. Each passing day that first week was a grand success, with the chicks growing more robust and looking increasingly comfortable and confident. It has me thinking that it feels as though the very likely —if not inevitable— scenario of losing a bird to some illness or predator grows more significant with each passing day as well. The longer time they spend with us, the harder it will be on us to lose them, I’m sure. So, the stakes on taking good care of our chickens go up every day. The more success we have, the more important it becomes that we continue to succeed. At least until the first loss occurs. After we have to deal with that reality of raising chickens a few times, I expect we’ll figure out a way to cope. It seems like all the people we have heard from or read about who raise chickens have gotten to a place of acceptance with the harsh reality of such losses. It’s a reality that I can comprehend, which contrasts directly with the incomprehensible thought that anything could taste bad to a dog, after the things I have seen them eat.